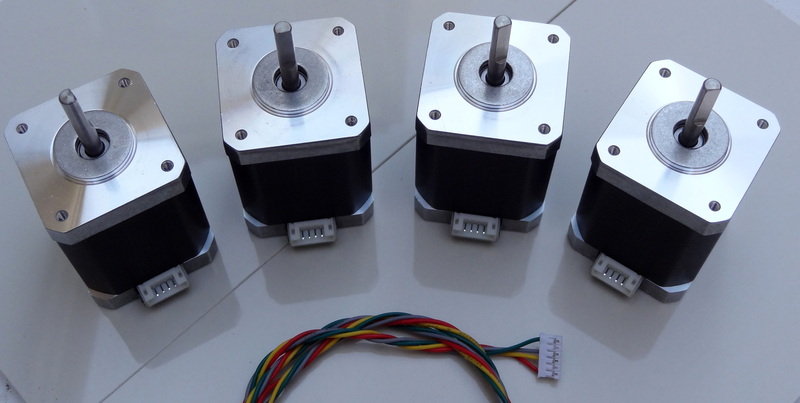 Received the motors for the Shapeoko. 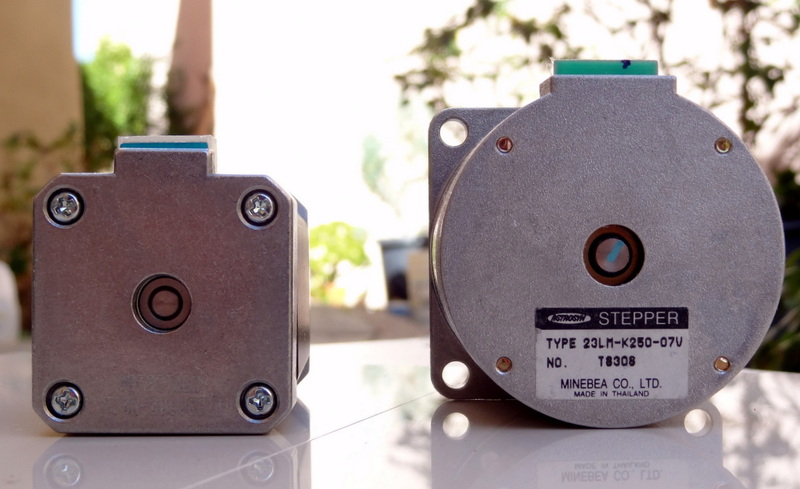 With different options between NEMA 17 and NEMA 23-sized motors, I decided to get a “stretch” NEMA 17 motor from ROBOTDIGG [link]. 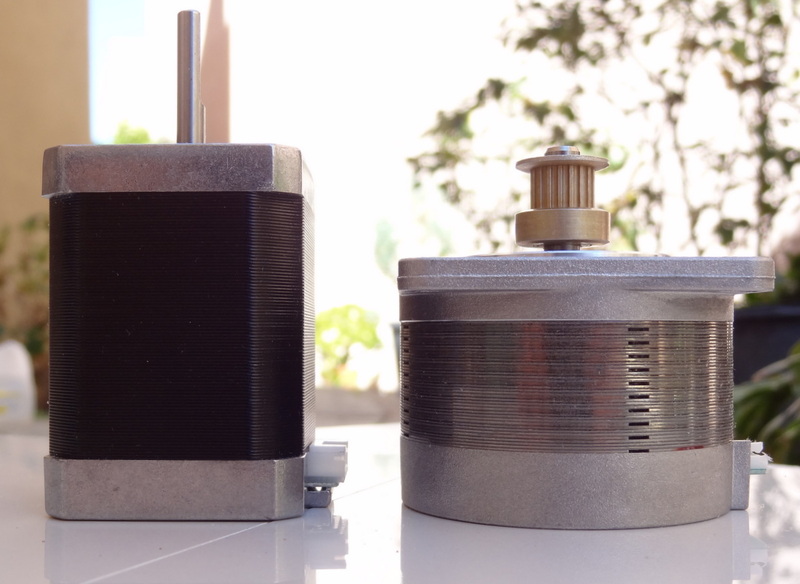 For now I think it is the best option because GT2 pulleys are widely available for this size motor (shaft size ks 5mm) whereas GT2 pulleys that will fit NEMA 23 motors (shaft size 1/4″) are currently non existent. 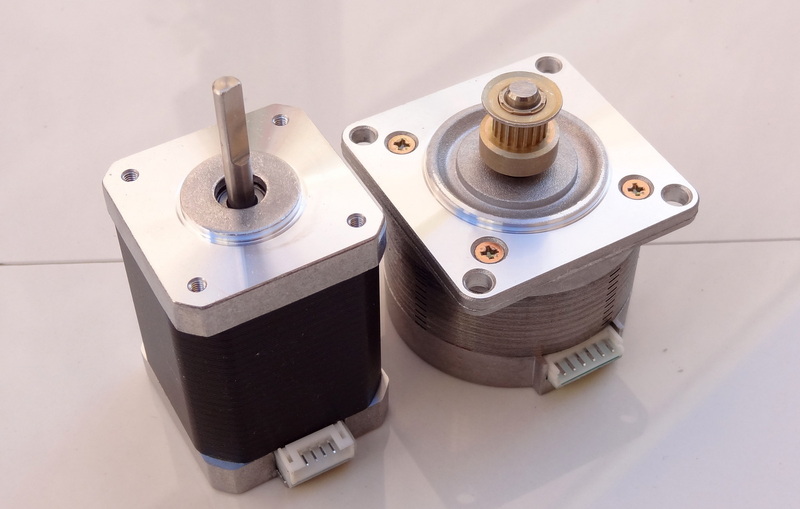 (Inventables are going to offer 1/4″ GT2 pulleys in the near future, but I have not seen any other source). 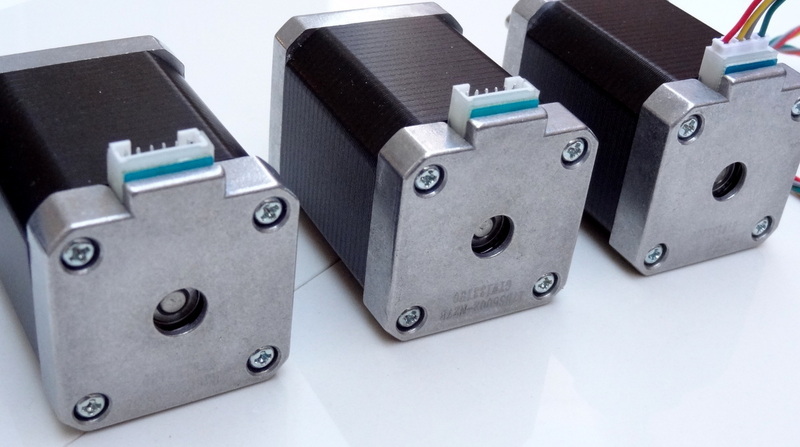 The “stretch” NEMA 17 motors are specified as 60mm body length with a holding torque of 6500 g.cm (90 oz.inch). 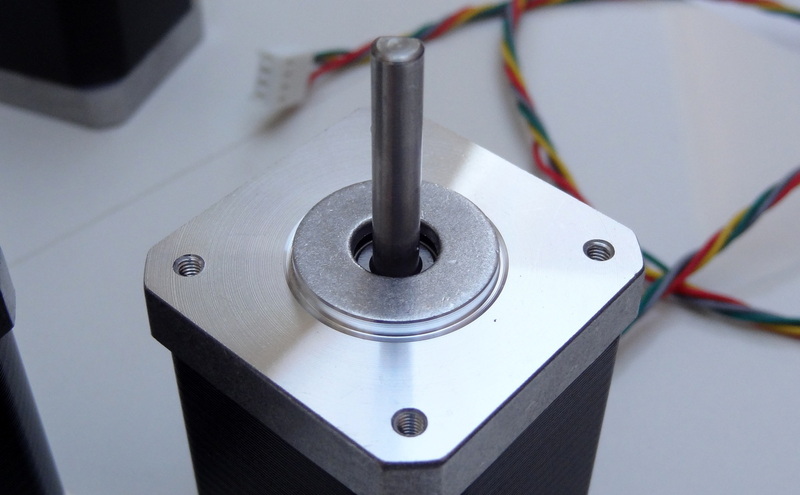 The “standard” sized high torque NEMA 17 motor is specified as 48mm body length with a holding torque of 4800 g.cm (67 oz.inch). The “stretch” version has 35% more torque than the “standard” version. I hope this “extra” torque will make my Shapeoko upgrade-ready. 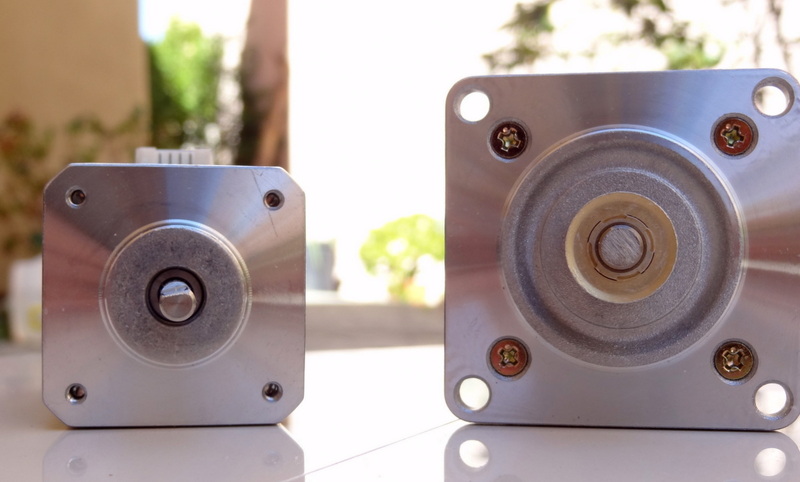 Rotor size comparison: The motors have two 9-mm end caps. 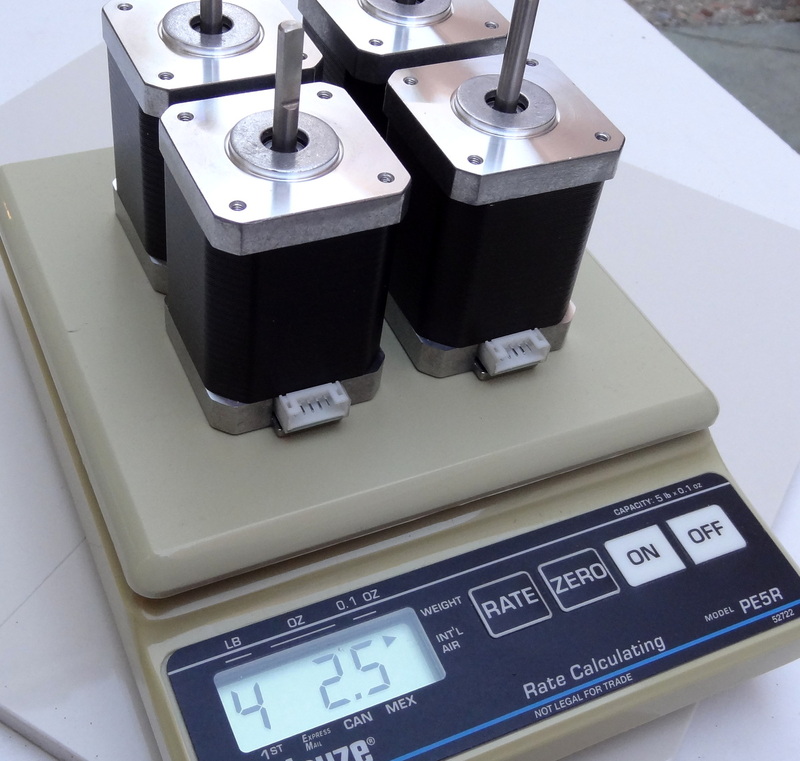 Thus the rotor size of the “standard” motor is approximately 48mm-18mm= 30mm and the “stretch” motor is 60mm-18mm=42mm. This represents a 40% increase in rotor size. If this is proportional to torque, then the 35% increase in torque indicated by the specifications is a pretty conservative number. Didn’t find too many testimonials in the web but decided to give it a try because the prices are so good. They also said they manufacture their own motors and other gear. It was a very good experience. Answers email right away (during their working hours). Shipping for 4 motors, (plus bearings, pulleys and belt) was US$40. Apparently for heavy items they cannot use the postal service and they have to use international couriers such as DHL UPS and FedEx -thus the high cost for shipping. The order took 1 week from payment to delivery and it was shipped with UPS. No damage upon receipt. The motors were well padded. (Not associated with Robotdigg, except as a satisfied customer). 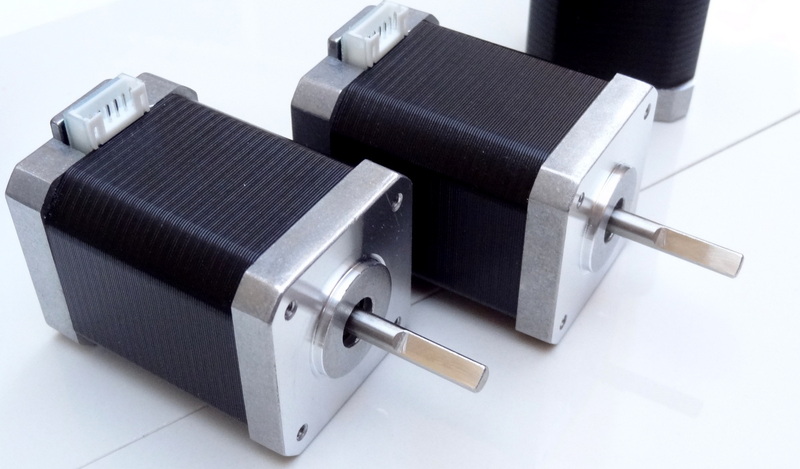 These motors are over 1 lb each. Comparing size with a NEMA 23 motor (In this case the NEMA 23 is kind of underpowered at something like 40 oz.inch and the NEMA 17 motor is 3 oz heavier than the NEMA 23 motor).